This combination of a brown puffer jacket and Bonobos Slim Fit Tech Five Pocket Pants is incredibly sharp and provides instant class. 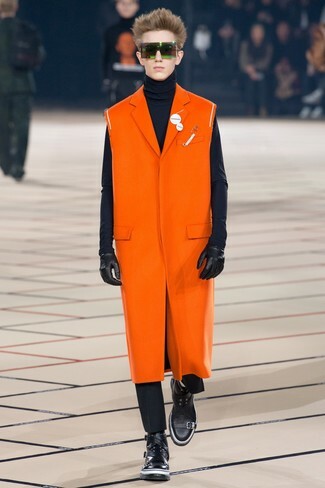 To give your overall ensemble a more casual feel, introduce black athletic shoes to the mix. Wear an orange overcoat and Bonobos Slim Fit Tech Five Pocket Pants to look incredibly stylish anywhere anytime. Complete this ensemble with black leather casual boots and ta-da: the look is complete. If you're searching for a casual yet on-trend ensemble, pair a grey bomber jacket with black chinos. Both pieces are totally comfortable and will look great together. Tan leather high top sneakers will deliver more playfulness to your getup. Step up the dapper factor in a charcoal blazer and Bonobos Slim Fit Tech Five Pocket Pants from Nordstrom. A pair of black fringe leather derby shoes will bring an elegant twist to this getup. 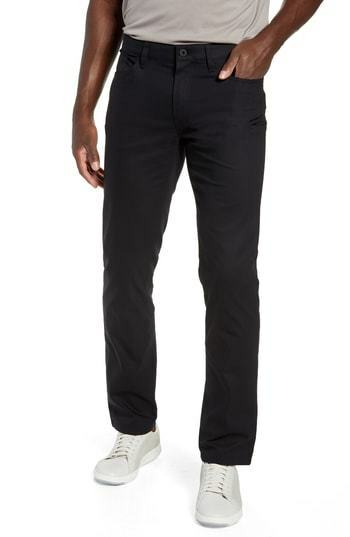 Go for a pared down but refined look marrying a navy blazer and Bonobos Slim Fit Tech Five Pocket Pants from Nordstrom. A dark brown leather shirt jacket and Bonobos Slim Fit Tech Five Pocket Pants from Nordstrom are among those versatile items that have become the absolute must-haves in our closets. And if you want to instantly ramp up your ensemble with one item, why not complete your ensemble with black leather chelsea boots? As you can see here, ensembleing dapper doesn't require that much effort. 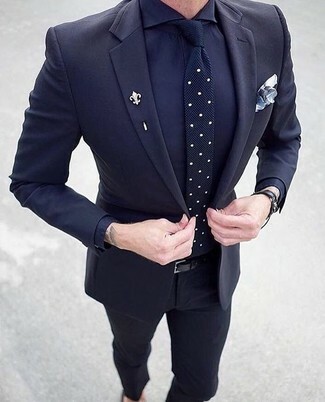 Just reach for a black double breasted blazer and Bonobos slim fit tech five pocket pants and you'll look incredibly stylish. 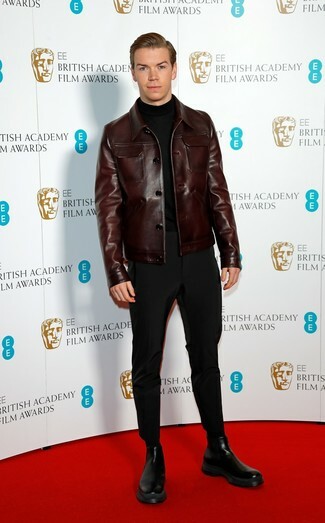 If you don't want to go all out formal, rock a pair of black and white leather brogues. 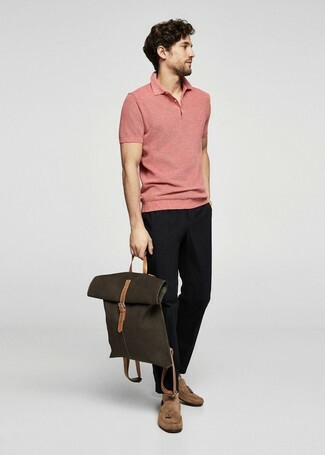 If you're scouting for a relaxed casual and at the same time sharp look, dress in a pink polo and Bonobos black chinos. 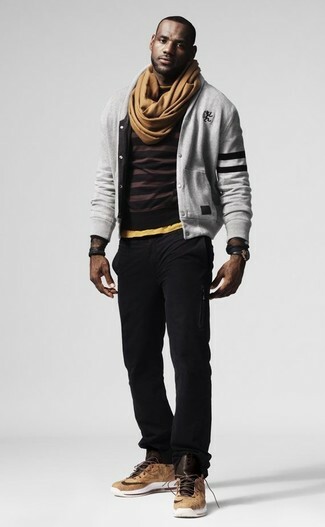 If you don't know how to finish, complete this getup with a pair of tan suede driving shoes. If you're in search of a casual yet dapper outfit, reach for a blue denim shirt and Bonobos slim fit tech five pocket pants. Both pieces are totally comfortable and will look great together. For footwear, grab a pair of grey leather low top sneakers.